It’s breakfast time! Well, you could make this for a light dinner also but I served it for breakfast. 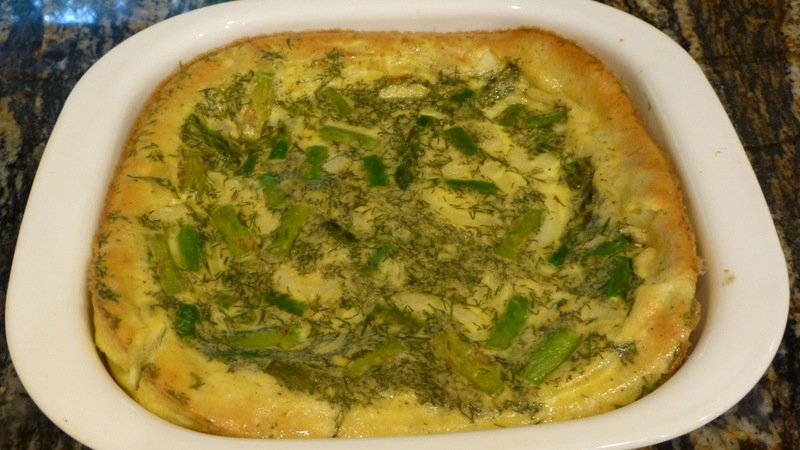 This Asparagus, Dill, Onion and Egg Casserole recipe is light and healthy. Yes, it does take a lot of eggs (one dozen) but we had this for leftovers the following day and the day after. It reheats beautifully. You could add more “spice” to this dish like sausage or bits of turkey bacon — let your imagination go wild. I decided to make the original recipe then play with it later. 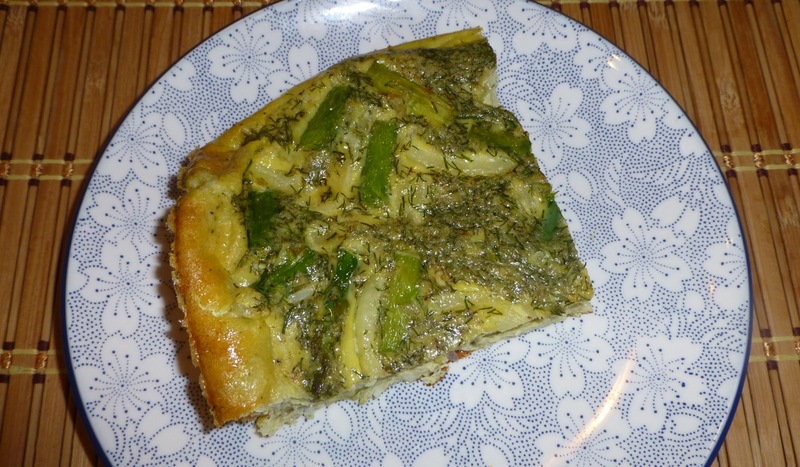 Preheat the oven to 350 degrees fahrenheit and lightly spray a casserole dish with olive oil. 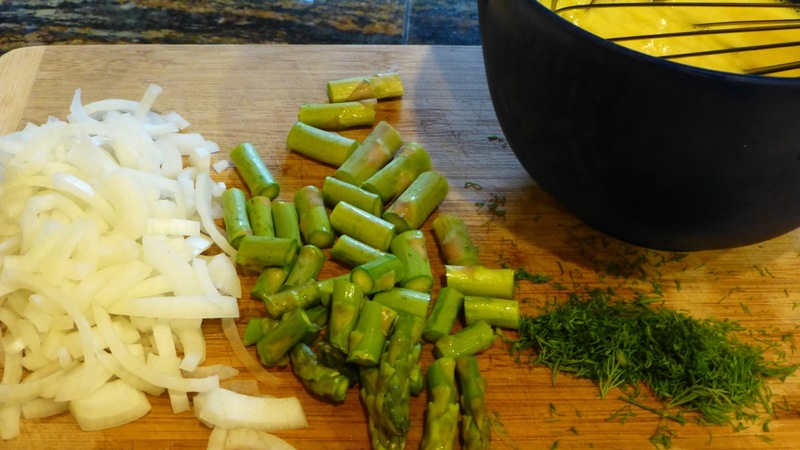 Wash the asparagus, cut the bottoms off then slice into 1 inch pieces. Roughly chop the dill leaves. 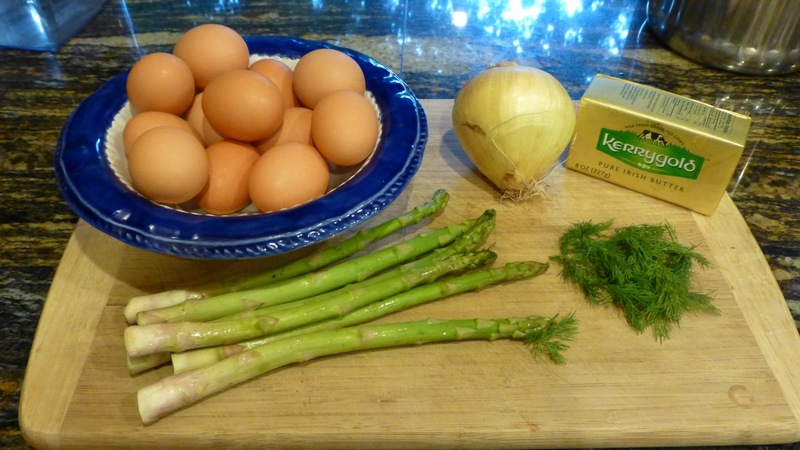 Put the cracked eggs in a bowl, add the dill, pepper and salt then beat this all together. In a large frying pan, add butter or olive oil and once hot add the onions. Add the chopped asparagus to the frying pan with the onions in it and cook through until the asparagus is tender (just a few minutes). Put the onion and asparagus mixture into the greased casserole dish. Pour the beaten egg batter over the onion and asparagus and stir it around. Bake 35 to 40 minutes until the eggs are set and just starting to brown on top. Allow this to cool for 5 to 10 minutes before cutting. Yum! What a great paleo breakfast!